Flash is dead. Or so it has been rumored for a couple of years and still ongoing (See this Discussion here). But I still do things in flash. I think it’s still a better game making tool than many other alternatives. Starling + Flash also makes an awesome combination for Android, iOS and GPU powered web games. Unity has been making headlines, with lots of awesome Unity games getting media (and game dev’s ) attention, with a free version and support for indies. I’ve decided to try it out, and have already made a couple of test games with previous versions. But felt discomfort with it due to many dissimilarities with flash (which is familiar). But recently when Unity 5 is out, I decided to finish some games and learn Unity along with it. Documentation is fantastic, manual is great, Unity is awesome ( But not so awesome as Flash yet 😉 ) and I’ll be looking forward to realizing some games in unity soon. 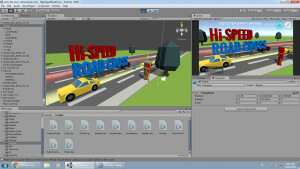 For Flash game Developers who want to get into unity try these articles by Jackson Dunstan on From Flash to Unity.